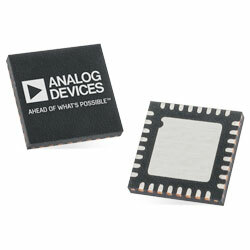 Analog Devices ADMV4420 K Band Downconverter is a highly integrated, double balanced, active mixer with an integrated fractional-N synthesizer. The device is excellent for next-generation K band satellite communications. The RF front-end consists of an integrated RF balun and LNA for an optimal, 7dB, single-sideband noise figure while minimising external components. Also, the high dynamic range IF output amplifier gives a nominal conversion gain of 36dB. Satellite communication and point to point microwave communication are suitable applications.